We were driving home recently. Griffin was in the back seat reading his book about U.S. Presidents. Griffin (9 years old): Who was the capital of Wisconsin named for? Me: Is this a quiz or a question? This is an important distinction with Griffin. He has both in his repertoire. If it’s a quiz, he knows (or thinks he knows) the answer and he does not tolerate speculation or conversation well. If it’s a question, then we have something to talk about. Me: Well, then…based on your reading material, you must want James Madison as the answer. Here I make my move. Turn it from quiz to conversation. It’s not an easy move with this guy. Me: Does it say that in the book? That Madison is named for James Madison? G: No. But what are the chances it would be anyone else? I mean, Wisconsin wasn’t even a state until 18XX [he knows the date, I do not recall it]. Me: What are the chances? I don’t know. Maybe not 100%, though. G: And Jackson, Mississippi! That’s totally after Andrew Jackson! G: Really, what are the chances? Since he has raised the what are the chances? question, I figure I will follow up on that. We are approaching our street at this point, which is Sherwood Avenue. Almost home. 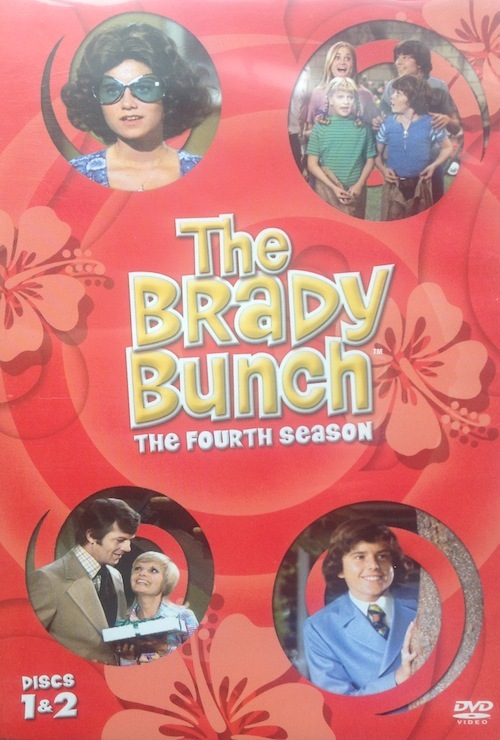 You also need to know that the children have become fans of The Brady Bunch over the summer. Like I said. Long story. Long story about that, and I’m not sure how I feel about all of the messages it sends, but I suppose they had to outgrow Dinosaur Train, Arthur and Wild Kratts at some point. Me: Well, what are the chances that our street was named after Sherwood Schwartz, creator of The Brady Bunch? G: Not very good! That show is from the 60s or 70s, but our street is from a lot longer ago than that! The more experience thinking about likelihood kids have before that time, the better off they will be. As a society, we have a too-strong reliance on right/wrong and black/white. When behavior A makes medical condition B more likely, we behave as though A makes B certain. This makes informed decision making very difficult, and it makes educating children about probability hard, too. So notice and express how likely things are with your children—especially when you and they are not certain about something. There are many times when a fact or outcome is uncertain. Make predictions with your child, discuss the evidence on which you and they base your predictions. Discuss how likely you are to be right. Then notice whether your prediction came true. You can talk about this when you roll dice in a board game, when you talk about tomorrow’s weather, when you are looking for your shoes, when you wonder who will be at a birthday party, and when you flip a coin to make a decision. Wikipedia suggests that Jackson, MS was in fact named for Andrew Jackson, and that Madison was named for James Madison. Griffin was also right about our street. Our house was built on the street in 1928. This entry was posted in Probability and tagged 9 years old, chances, cities, Griffin, likelihood, presidents. Bookmark the permalink. This is an awesome post. I love that he knew your street was named way before the Brady Bunch, which, in my opinion isn’t that bad… how else will he know the reference, “Marsha, Marsha, Marsha!”?